New Colon Cancer Screening Guidelines: 6 Things to Know – Downriver Gastroenterology, P.C. For the past two decades, doctors have told Americans at average risk for colorectal cancer (CRC) to have a colonoscopy at age 50. But recently the American Cancer Society (ACS) changed its guideline and now recommends age 45 as the starting point for routine colon cancer screening. Why this change? The American Cancer Society points to increased rates of colon cancer among patients under 50. Regardless of screening guidelines, it’s important to talk to your doctor (at any age) about your individual risk factors for colorectal cancer. In the meantime, here are some key points to know about this new screening recommendation. 1. The new recommendation only affects people with an average risk for colon cancer. People at a higher risk for colorectal cancer—such as those with Crohn’s disease or a family history of colon cancer—have always been advised to begin screenings earlier than age 50. The new American Cancer Society guidelines only address people who lack the additional factors that put them into a high-risk group. 2. The guidelines changed because colon cancer rates among young people are skyrocketing. Colorectal cancer rates have been rising sharply in people under age 50. According to statistics from the American Cancer Society, people born in 1990 now face twice the risk of developing a colorectal cancer as a person born in 1950. Yet these adults traditionally have not been screened due to their youth. By revising the age guideline for colon cancer screening, the ACS likely hopes these cancers in younger people will be detected earlier, when treatment is more effective. Earlier detection may also lead to a reduction in the colon cancer rate among those under age 50. 3. Right now, only the American Cancer Society is making the new recommendation. Other professional groups, such as the U.S. Preventive Task Force, still recommend colon cancer screenings beginning at age 50. 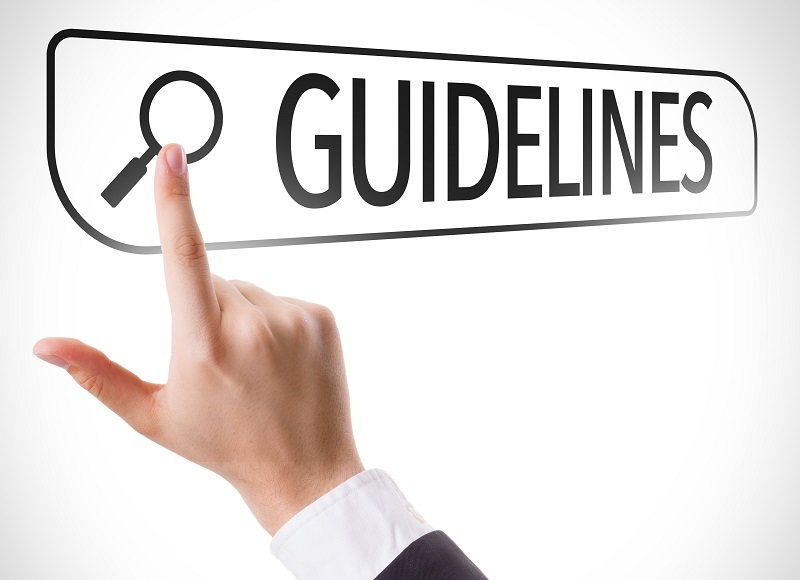 And the new ACS guideline does not change previous recommendations that colorectal cancer screening decisions should be made on an individual basis, taking into account each person’s own risk factors, family history, and lifestyle. 4. Colonoscopy is not the only screening option for colorectal cancer. According to the ACS guidelines, these non-invasive tests provide an alternative to colonoscopy, provided any abnormal result is followed up with a colonoscopy to look for cancer or precancerous polyps. And while you can purchase colon cancer screening tests over the counter, it’s not a good idea. Get a prescription for your test from a physician so you can get help interpreting the test results and receive any necessary follow-up care. 5. The recommended rate of screening frequency did not change. 6. You should see a healthcare provider if you’re approaching age 45 or you have symptoms of colon cancer. If you’re age 45 (or approaching it), talk to your primary care provider about what these new ACS colon cancer screening guidelines mean for you. Your primary care provider can design an age-appropriate screening schedule for all types of health issues, not only colon cancer. Your primary care provider can evaluate these symptoms and set a path toward diagnosis that may include seeing a gastroenterologist. Colon cancer rates among individuals over age 55 have declined over the past decades, thanks in part to age-based screening programs. If you’re 45 years old, take a proactive approach to reducing your colon cancer risk by discussing the new ACS screening guidelines with your healthcare provider.